Since Liam started school he has been sick a few times which means we are stuck inside. We also have had a serious amount of rain the last few months which has also given us TONS of indoor time. 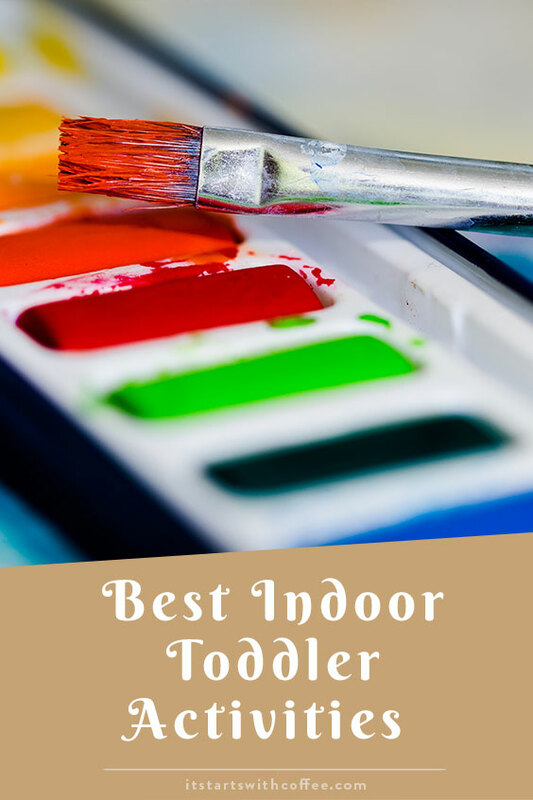 So for my other moms out there who may run into these issues I want to share the best indoor toddler activities. Sensory Bins: We started doing these at about a year. They are essentially bins with different things like feathers, noodles, clay etc for them to play with. Search sensory bins on Pinterest! Basketball hoop: Liam got this basketball hoop for his birthday and we recently brought it out during some lazy days at home and he can’t get enough! Painting: Liam does this at school but we haven’t done much at home. He loves to paint and it’s a great activity if you don’t mind the mess. Ball Pits: Huge hit in our house! We have this one. Playdates: Set up a play date with a friend and let the kids destroy the play room while the moms have coffee! Treat for both you and your toddler. Save Toys from birthdays/holidays: When Liam got toys for Christmas and his birthday we asked for 2 and up toys. He was barely one at the time. We did this because we knew we would want to introduce new toys slowly. This has been great as he has gotten sick of one thing we put it away and introduce something else. Great thing to do on a rainy or sick day. Watch a classic movie: Recently when Liam wasn’t feeling well we put on The Lion King and he LOVED it! So much fun for us too! Cook: We plan to get Liam this for Christmas and it will be so fun to use so he can cook with us. Helping to mix things and other safe activities. Stickers: I have tons of friends who’s kiddos love stickers. Liam isn’t into them quite yet but he’s always fascinated when we get them out. I would love to know what indoor toddler activities you recommend. This is definitely a great list for any parent to start with. The trick, of course, is to choose activities that keep the child occupied and it is a bonus if the activity also has some educative or creative value. I live in NYC so when it rains I like to count cars with my kids. I usually pick a color and then set how many I have to find. This gets them counting and identifying colors. I like the idea of saving toys to slowly introduce, and my nephew has always LOVED stickers. All of these ideas are great. Target’s dollar spot sometimes has cool, little crafts as well. They’re cheap and are a fun way to enjoy your time indoors! Great activities! I’m always looking for new things to entertain my little ones with. The whole save gifts from birthdays and Christmas is a great idea. I actually do that and it helps them actually enjoy their toys! I even hide a few that they already had for a while and bring them out as if they are brand new again. A play date would have to be my go to indoor activity. I definitely lock the kids in the playroom while the mom talk in the living room hoping no one gets hurt lol. We also used DVD’s to keep them occupied when they were toddlers. Of course that meant back-to-back viewings of Finding Nemo! Sensory bins and stickers are our favorites. I enjoy putting together the bins almost as much as he enjoys playing in them. Play dates are a life saver for us! We also try to find local gymnastics to do indoor tumbling and open gym. My son loves The Jungle Book too! Good resource indeed! My favorite would be painting! I cant wait for my baby to be a toddler and we’ll definitely do a lot of activities together!